This article, like many others, was first published exclusively for subscribers, 13 hours before everyone else got to read it. Beside Goel and Monga, the team is understood to include another three lawyers. CAM managing partner Cyril Shroff commented: “We wish him well in future.” He said Goel would be on a three-month notice period. They all gave notice last week, we understand, and leave Delhi without a specialised TMT practice after partner Asim Abbas’ resignation. We could not authoritatively confirm at the time of publication where he and his team will move to. Goel, a Delhi University graduate with an LLM in TMT laws from the University of Essex in the UK, has practised since 2001, having worked for 7 years with Seth Dua & Associates where he made partner in 2009. In 2013, he joined Dhir & Dhir, followed by a move two years later from Dhir to CAM. Competition law practice director Monga - also a Delhi University alumnus (2006) and a National University of Singapore LLM holder, had been in Goel’s team since joining Seth Dua in 2007, and had moved with him to Dhir and CAM. At Cyril Amarchand Mangaldas she joined as a principal associate and was promoted to director in 2017. Manishi Pathak, who has joined IndusLaw this week. Partner level director? Did you get this verified from CAM, Kian or took the exiting people's word? Check again. Some of them will go on to become partners in some years. So how are they partners already!!!! And the exodus continues. Another big loss for CAM. Rahul is an excellent lawyer and professional. How many lawyers does CAM actually have??? Are they actually the biggest law form in India or are they fibbing. Their numbers don’t seem to change despite exits!! I can authoritatively confirm that CAM is not the biggest law 'form' in India. Saala lawyer log aise heech hain firm vs form. Apun sab critic - me too - allegations ka nahin. Gone are the good old days of Amarchand’s. Both CAM and SAM are bleeding clients and lawyers. It’s too big to fall but time will tell, another 5-7 years and they might be in the league of Singhania or Fox Mandal. Good luck to Rahul and team. History is witness to the fall of great bastions because of internal gripes. History is also witness to the rebirth of great bastions only because those who matter cast aside their differences and join hands to preserve their supreme reign. Here's hoping that AMSS will return to rule as the bastion that it once was. C'mon bros... Hug it out. There won't be an AMSS if you don't. This CAM/SAM entry/exit drama needs to stop. Clients will all come back and so will talent. Only if the sun rises again and bathes Peninsula and Okhla in it's light and showing all the other wannabe firms what an edifice the Amarchand name truly is. Good luck Rahul and Anu!! It is a huge loss to CAM especially when those who know the law are leaving and the one left behind are trying to read the book! Do you even know who is left behind? And didn’t need the likes of Rahul to prop them up. But vice versa. Old layout was better. Not a fan of the new layout. Hi, thanks for your feedback. 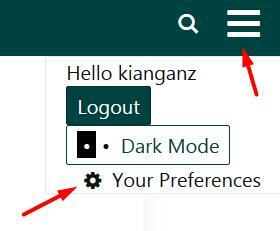 I have added an option for you to revert to something similar to the previous frontpage layout. Big loss to the CAM- all the lawyers mentioned are extremely professional and sincere. Always known to make good jurisprudence in comp. law ! Is this the Avantika effect? Rahul leaving. Bharat asked to move to Delhi to make space and way for Avantika and Anshuman. Interesting times ahead. All roads lead to Noida and Okhla. Bharat was not asked to move to Delhi...this was his long term plan for many months. And, extras out of the field. Saket rules. George Banks will not pay for the superfluous hot dog buns. Is Bharat moving to handle the enforcement practice of CAM? Or is it simply a pit stop towards Okhla? Anyways, best of luck to Bharat! Cam needs a strong contender to handle competition lit ! Is it time again for a young guy to fill in some big shoes ? For those who don’t know, Rahul’s team in the Delhi office has been one of the most courteous and sincere teams ever. The entire team is different in their own way and mean business. His associates reminds me of the movie 300! Hahaha(for all those who have seen them work). All the best and keep shining bright! 300 doesn't seem to the appropriate example in any circumstance. 299 died and one came back. Hope RG and team fare better! Rahul, Anu you will be missed dearly. Such wonderful people to work with. Respectful, humble and really good lawyers. Here's wishing you all the best.. wherever you go. Where is the team headed to now? Rumours are that Rahul and Anu are moving to AZB effective 15 March 2019! Rumour is that the bus is going to Okhla! And....there are quite a few law firms in Okhla! Would be a strong addition to an already well fortified antitrust team at AZB, that is, if the runours are true. why do you say so? Is there some dispute between them? Or to put it in other terms, have avaantika and Anshuman forged a cartel at the disadvantage of Bharat? Can someone please name all the exiting team's members! Would really appreciate it. A comment posted 2 months ago was not published. Names of the team members are here - Nitish Sharma, Rishabh Arora & Neeraj Lalwani.